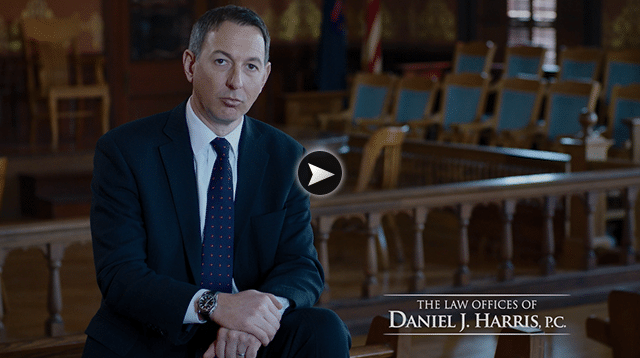 Wrongful Death | The Law Offices of Daniel J. Harris, P.C. There are well over a hundred thousand unintentional deaths recorded every year. Car, truck, motorcycle accidents, medical malpractice, poisoning, and slip and falls are just a few examples of the tragedies that plague innocent families every day. Despite everyone’s expectations of justice, not everyone knows what to do after such a tragedy. This means that there are hundreds of thousands of people who are left to suffer without the knowledge that they can seek justice for their loved ones. The good news is that’s why we’re here. At The Law Offices of Daniel J. Harris P.C., we understand suffering doesn’t end at death. The people left behind are the ones who carry that pain with them for years to come. We also understand that seeking justice for a wrongful death can be just as painful. You suffer through long hours recounting the painful events in the hopes that some kind of justice is served in the end, but you don’t have to do it alone. We are eager to join you, and help you fight through the pain, for justice. At The Law Offices of Daniel J. Harris P.C., we have spent countless hours preparing case after case, honing our abilities in an effort to help the people who truly need it. We are faithful in our promise to fight tooth and nail to secure the compensation you deserve. We respectfully realize that there is no amount equivalent to the loss of your loved one, but we are driven to establish a stable environment where you can feel safe knowing that we care and we are fighting for your justice. We aim to not only win your case, but also bring you peace of mind. Our offices uphold a No Win – No Fee Policy allowing us to work diligently on your case. You can be certain that each of our qualified attorneys have the necessary experience to handle the intricate aspects of your case, while also creating a comfortable atmosphere. The comfort of our clients throughout the legal process, especially in a case involving a fatality, remains one of our top priorities. If you or someone you know has suffered the wrongful death of a loved, we beseech you to reach out to one of our legal offices. The Law Offices of Daniel J. Harris P.C. have operated successfully throughout Michigan for nearly twenty years. Death is the most immeasurable pain a person can suffer through, but you don’t have to seek restitution alone.